HOURS: 12-20 hours per week, flexible scheduling available Monday-Friday 10-6. COMPENSATION: Transportation assistance and a stipend of $1500 will be provided. 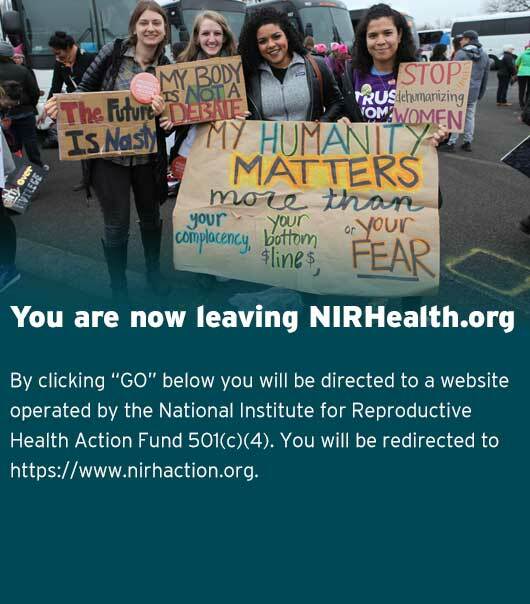 The National Institute for Reproductive Health (NIRH) builds power at the state and local level to change public policy, galvanize public support, and normalize decisions about abortion and contraception. Our Action Fund conducts non-partisan issue advocacy and electoral engagement to advance reproductive health, rights, and justice across the country. Using a partnership model, we provide state and local advocates with strategic guidance, hands-on support, and funding to create national change from the ground up. We are a force multiplier – we form strategic partnerships with a wide range of organizations to directly impact the reproductive health and lives of women across the country. At the national level, we engage in groundbreaking public opinion research and original reports, proactive policy initiatives, and innovative advocacy campaigns to shape a new national conversation about reproductive freedom. We’re also known for our signature initiatives, including the Local Reproductive Freedom Index and TORCH, our nationally recognized youth leadership and peer education program. The National Institute supports advocates and organizations who are addressing reproductive health, rights, and justice issues that impact their communities the most. We encourage and support our partners in taking calculated risks; pursuing bold strategies; and developing innovative, proactive approaches to expand access to reproductive health care, including abortion. Each year, we work in at least 20 states and a dozen localities. Since 2008, we have partnered with more than 150 organizations in 39 states, including in 56 localities. The National Institute for Reproductive Health is an equal opportunity employer. NIRH strives to build and support an equitable work community that attracts, develops, and retains exceptional people. As a member of the reproductive freedom movement, NIRH aims to foster leadership and raise the voices of historically marginalized people, including but not limited to Black people and people of color, indigenous/native peoples, LGBTQ and gender non-conforming people, disabled/differently abled people, immigrants, and low income people. We strongly encourage candidates of these and other diverse backgrounds to apply.